Residential & Commercial Pergola Service, Design & Installation. Alumawood, Vinyl, Wood and Metal - We offer the Best Pergola Products Available. It's free! We'll respond promptly. Thank you! Looking for the best patio cover builders in Southern California? Look no further. We specialize in Pergola Perfection. Have an idea? Need some ideas? Whatever the patio cover plans, let us assist you in creating your dream patio to enjoy your backyard and the outdoors. Once your Patio Cover has been built and competed your will love sitting under the shade it provides and enjoying the company of your family and friends. You will be able to enjoy the outdoors all year round and keep shielded from the summer heat and UV rays. Our pergola covers are truly works of art and we hope to keep you as a satisfied customer for the life of your residence in the great state of California! We have the best contractors in the business. When it comes to designing and installing your new pergola, relax knowing we have you covered. After your consultation, we design and then finalize all the pergola concepts and get them approved with you. We then come out to set the pergola posts and shortly after attach and finish the roofing and other added designs to the pergola. Give us - your pergola building experts- a call and schedule a free estimate today. We are experts at building pergolas for homes all across southern California. When it comes to designing and creating the perfect pergola for you patio or backyard space, trust us as your experts. We guarantee all our work and promise to deliver excellent craftsmanship and quality with every project we complete. Give us a call today to schedule a free on-site estimate! Have a business that needs a little class? Pergolas are perfect for offering your customers shade for restaurants, bars or even parks and sitting areas. With a beautiful pergola hosting your customers you'll be sure to increase your customer base and image of your business. Our goal is to create a patio space that is memorable for your clients and your employees that will not only help cool but also increase your customer acquisition for the years to come. Having a Patio Cover to shade your from the heat is absolutely necessary in California, especially during the summer months. Nothing is more enjoyable then being able to sit on your outdoor patio and relax, have a drink and just enjoy the outdoors. We turn your patio spaces into resort style escapes from reality. When looking for an expert in pergola design or installation, look no further. We are the premier California patio cover and pergola building experts. Come to us with your ideas and vision of what you want your backyard or patio to look like and we will create it. Submit a free online estimate request or give us a call today to set up a on-site estimate! Looking for a pergola kit? Do you want to build a DIY pergola yourself? We can supply the material needed to complete your projects, although we only recommend this option if your a professional contractor and know what your doing. Building a pergola by yourself can be done but is risky if you don't know what your doing. We have seen many people attempt to do it themselves but improperly set their posts, level the pergola, or secure it properly -- all which have led to disasters. So please do not do pergola kits or DIY pergola unless you are extremely experienced at installing and certified to do so. It's not worth ruining the investment in the product and materials required! 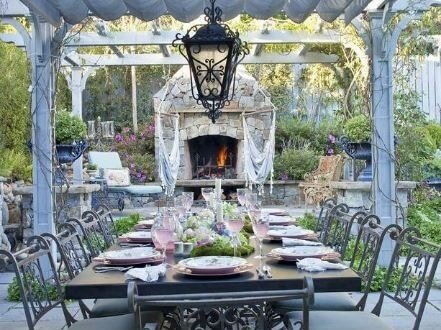 Let's be honest, creating a perfect patio design and cover for your backyard can be a daunting task. Let us help spark some ideas on how we can transform your spaces into a relaxing retreat fro reality. When we come out to give a free on-site pergola estimate, we get to work and design out on our CAD programs concept ideas on what your pergola and patio cover will look like. From there you can make adjustments as necessary till you approve the final design. Rest assured we want you completely satisfied with the end result and most importantly able to enjoy the patio cover for many years to come! Looking for that perfect patio awning? No problem. We specialize in awnings for homes or businesses. Awnings offer a beautiful shade additions plus serve a purpose blocking the UV rays from the sun. Patio Cover Pergola Awnings are wonderful additions to any home to increase the value of your property and promote relaxation for the years to come! 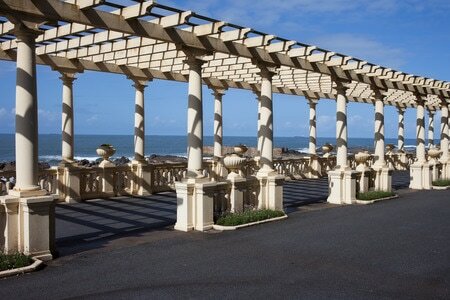 What is a pergola is a question that we get asked quite a bit. Pergola's are classy and beautiful patio covers. 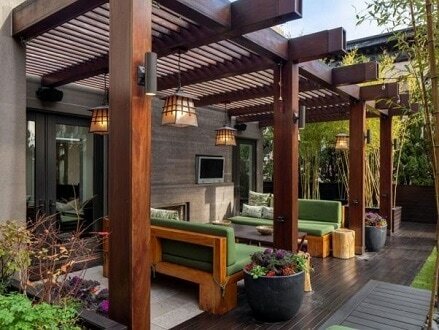 They allow the sun's light and heat to shin through while still proving shade for your patio area and siting spaces. They work great as stand alone structures or attached to the home. They beautifully blend in with your backyard spaces and work perfectly with pool areas as well. They are also great for keeping your windows in that area shaded from the sun! If your looking for experts who specialize in everything pergola, give SoCal Pergola Company a call today! We recommend Alumawood Pergolas on almost every project we do, due to maintenance and longevity, plus they are absolutely stunning and replicate the other pergola materials we offer. They come with the most diverse color options and textures as well. To learn more about Pergola Designs and Material, be sure to visit our Pergola Products Page. Live in Ontario and need a patio cover? Great we can help. Coming in at over 170,000 people in Ontario alone, it's safe to say there is a lot of people that need shade for their outdoor spaces. We got you covered! Nothing beats having a classy Pergola to shade your back patio and yard. From your estimate to design to installation, we promise only the best and seamless experience. You will be shaded with a beautiful patio cover in no time. Submit a free estimate form or give us a call to schedule an appointment! Rancho Cucumango, CA is beautiful and nestled up against the San Bernadino mountains. 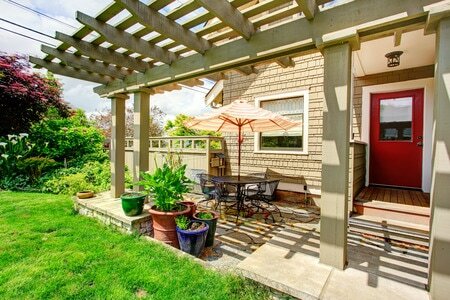 Nothing beats have a pergola to enjoy your patio and the California Valley views. At over 175,000 people, Rancho is definitely a thriving city that needs plenty of patio covers and shade options. So if you live in the area and have been tossing the idea around at having a patio cover or pergola put in your yard, give SoCal Pergola a call. We would love to give you a free on-site estimate and help design out the perfect patio cover for your and your guests. We guarantee you'll love the design and work we do! At close to 80,000 people, Upland CA has patio spaces that need to be covered. We offer upland residents the best shade cover options in the area. Upland has a thriving community of both businesses and homes. We value all the residents in the area and our proud to be a local provider to service and install pergolas in the upland area. If your looking to have the perfect patio cover installed, by the perfect pergola company, give us a call! We will come out to design and install your project from start to finish! When we install your pergola make sure you have the right roofing to accommodate the look and style of your new or existing pergola. If your roofing needs roof repair be sure to contact a local and reputable roofing company in the area.